Daniel Beskow has after his debut concert in Copenhagen 2012 established himself as one of Scandinavia’s most interesting and exciting concert pianists. He shows great promise and has already toured extensively in Scandinavia as a soloist and chamber musician with concerts in the Grieg Hall, Troldhaugen, Bergen, Berwald Hall, Stockholm, Tivoli Concert Hall, Copenhagen and chamber music festivals in Denmark, Sweden and Germany. Soloist with several orchestras in Mozart’s Piano Concert no. 13 in C Major KV 415 and Grieg’s Piano Concerto in A minor. The 2015/16 season included several performances of a staged version of Schubert’s Winterreise with Johannes Held, baritone in the chamber music series organized by Region Gävleborg and 7 performances at the Galerie der Stadt Sindelfingen and in the manor Kvarn arranged by Kammarmusik i Östergötland. A fairytale program „Sagolikt“ with Cornelia Beskow in Swedish castles organized by Musik på Sörmländska Slott och Herresäten. Other engagements include a French programme with Maria Åström, flute and an all Mozart programme Mila Thoors, organ, Sonata recitals with Gregory Maytan, violin and Stanislas Kim, cello. Daniel Beskow enjoys working with singers and the 16/17 season will include several performances of staged Winterreise at Theaterhaus Stuttgart and Schubertfestival in Roskilde, Schumann’s Dichterliebe and Nordic romances in Kalmar and Gränsö castles with Anders Nilsson, tenor. He will perform “A Nordic Love Affair“ with the fine Swedish mezzosoprano Josefine Andersson in Sweden and Denmark. He is also engaged to give solo recitals. In the summer 2017 performances with Winterreise STAGED is planned at Frederiksvaerk Festival and Musik på Sörmländska Slott och Herresäten. The 2017/18 season includes performances in Freiburg, Bornholm as well as the STORM series in Halmstad. Workshops/masterclasses are planned in Gothenburg and Västra Götaland in cooperation with Kultur i Väst 2018. Daniel Beskow studied at the Royal College of Music and Edsbergs Institute of Music in Stockholm, followed by studies in Norway with Jiri Hlinka and in London with Peter Feuchtwanger. He has taken his Soloist Diploma at the Royal Danish Academy of Music with Niklas Sivelöv and Hochschule fur Music und Theater Hannover with Einar Steen-Nökleberg. He has participated in Masterclasses with Andrzej Jasinski, Ronald Brautigam, Liisa Pohjola and Hans Leygraf amongst others. 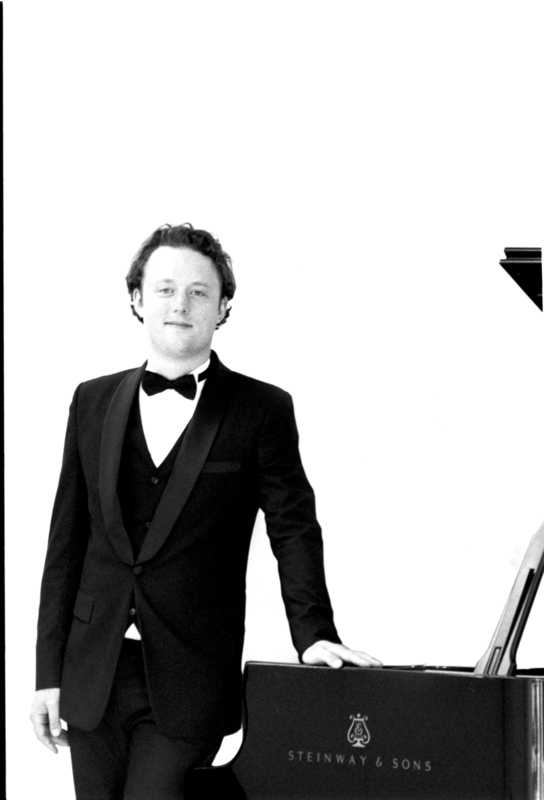 Daniel has recieved many prizes and awards including 1st prize in the Royal Danish Academy of Music soloist competition 2010, where he also won 1st prize in the Chamber Music Competition 2010 and was a prizewinner in the Academy’s piano competition 2012. Audience Prize in the Danish Radio P2 competition 2011 and finalist in the „young and promising“ competition in Sweden 2011 with piano trio Scandza. Winner of several awards and scholarships from the Swedish Royal Academy of Music, Konstnärsnämden- The Swedish arts grant committee and RWA DEA scholarship for studies in Germany amongst others.